At an event held in Islamabad on 22nd December 2017, the management team introduced the partners, unveiled the branding and confirmed the date of the commercial launch to be 18th February 2018. Ora Developers is owned by an Egyptian Billionaire Mr. Naguib Sawiris who had acquired Mobilink about 20 years back. The billionaire is again in Pakistan with a plan to revolutionize the real estate sector of Pakistan with estate of the art development project namely “Eighteen Islamabad”. Saif Group is the Pakistani conglomerate with business interests largely in textile, energy and real estate sectors. Considering the location map, the project seems to be located somewhere in sectors H17 and H18 on Kashmir Highway. The location is excellent as it gives easy access to Motorway, New Islamabad Airport and all parts of Islamabad and Rawalpindi through Kashmir Highway and GT Road. 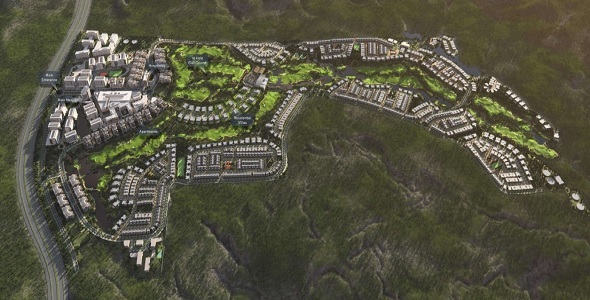 Eighteen Islamabad will be spread across 2.77 million square yards that will also feature a 18-hole golf course. The project will consist of about 2,000 residential units – 1,068 villas of different sizes and over 900 apartments – along with commercial properties, meant to serve the upper-middle income groups. The project will comprise luxury villas of various sizes, i.e. 10 marla, 1 kanal, 2 kanal, 4 kanal and 8 kanal – all facing the lavish golf course sprawling across the community. These villas are available in different layout plans, so you might be given the option to choose your preferred layout design at the time of booking. The master plan was conceptualized by Calisson RTKL and developed by renowned architects and urban planners WATG. The unique and challenging golf course has been designed by IDG in the UK. The project is being led by CEO, Tarek Hamdy, who explained why the scheme is so unique: “All the villas and apartments have been carefully located with views over the golf course and are linked by wide parkways and open streets. Since plot size of each villa is slightly different, the company has given minimum to maximum price ranges. Actual price of a certain villa will be calculated as per the actual plot size of that villa. You will be able to book your apartment or villa at Eighteen with just 15% down payment, while remaining amount will be payable in flexible payment plan of 4 years installments. The project will cost 2 Billion USD. The project will have 30% equity component that will be provided by the investors, while 30% amount will financed by the major banks of Pakistan. 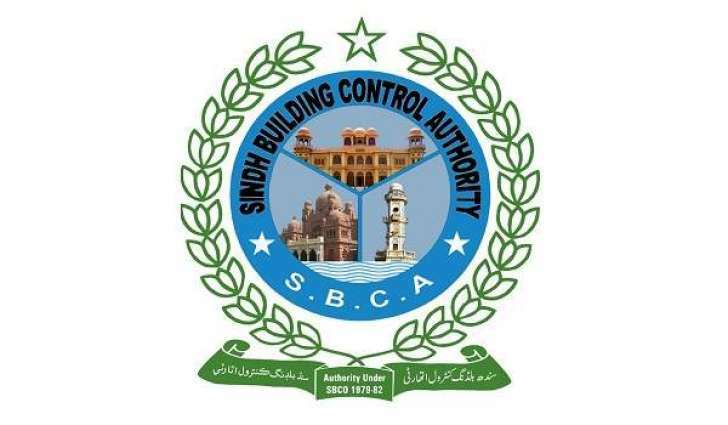 The No Objection Certificates have been obtained from Capital Development Authority as Eighteen Islamabad already owns the required land for this project. We expect that Eighteen Islamabad will establish new standards of housing development in Islamabad that will challenge the contemporary living standards in Pakistan. 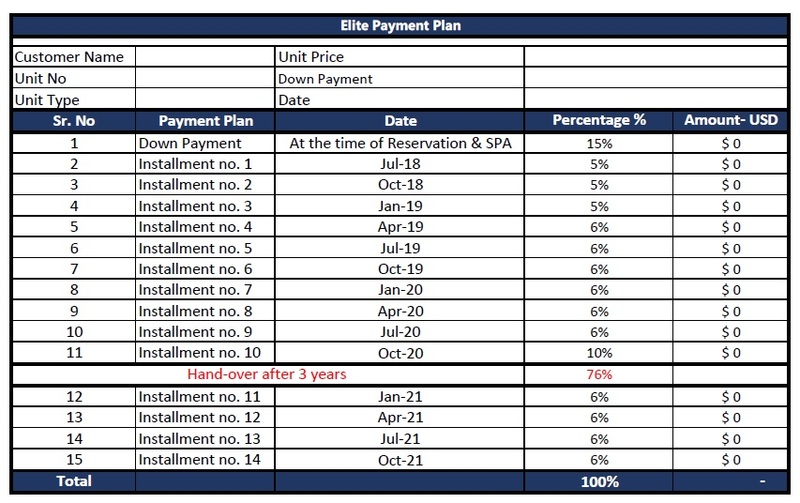 There are limited villas and apartments left for booking at Eighteen Islamabad, and prices are being revised after each quarter. If you are interested to avail this luxurious housing option on easy installments, do not delay your decision to book your unit before any further increase in prices. If you want to book your villa or apartment at Eighteen Islamabad, feel free to contact us at 0345-5222253 or leave us an email at marketing@manahilestate.com.